Time to Rebel. Time to Rise. Our new lager celebrates the rebellion that runs through Newport’s history. So we teamed up with the city’s other rebels for a top-secret mini festival of rebellion in Newport Market to launch RISE Propaganda’s Chartist Workshop. We’re not Newport’s first bunch of Rebels. The city actually has a long history of rebellion, being the site of Britain’s last large scale armed uprising - by the Chartists in 1839. Our brewery is actually located on an industrial estate off a road named in memory of the uprising, Chartists Drive. We’re also not the only modern day rebels. The city is home to anonymous artist RISE Propaganda, who uses the name of the Chartist leader John Frost as a pseudonym and who keeps the spirit of the Chartist rising alive. The reason Brad and Gazz started Tiny Rebel was as a reaction to the big, boring breweries that brewed boring lager, the faceless corporations that make beer in factories by pressing buttons. It wasn’t so much of a noble uprising as it was a desire for more choice, and Tiny Rebel is still about offering alternatives and showing that there is more to the world of beer than bland lager. But actually, we’re not going to persuade anyone away from that sort of thing with hop-bomb IPAs or weird and wonderful stouts. Getting people to know about the wider world of beer takes small steps, so we thought we should start with something more familiar. We thought the best way to show people real quality in the world of beer is something closer to what they’re used to. Instead of the industrial scale lagers that sound like they’re imported but are actually manufactured just down the road (looking at you, Magor), we wanted to brew a lager that is crisp and refreshing and somewhat familiar to everyone, but that’s brewed with love and care and hard work. It’s small, but it’s an act of rebellion in itself. A flowery, grassy aroma from Saaz, the classic lager hop, goes perfectly with the slightly sweet, fruity flavours developed by our house lager yeast. A simple, all-Pilsner malt grain bill gives a super-crisp platform to build these flavours on, with the end result being an incredibly refreshing, drinkable, moreish lager. We teamed up with John Frost of RISE Propaganda to add that signature Newport rebellion in visual form to this beer. Inside and out this beer is based on our very simple desire for something with different values. The final product isn’t revolutionary but it’s the idea behind it that is. It’s an idea that we share with RISE Propaganda, and John Frost agreed to us using his design for our new lager. The raised fist is a symbol of defiance and solidarity, both key features of the Chartist uprising. The chevron shape created by the thumb crossing the ring finger is red, and the rest of the fist is gold, reflecting the design of Newport’s coat of arms. 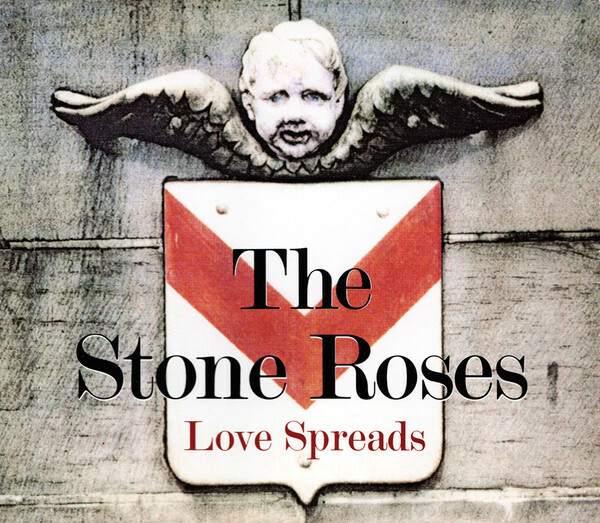 This design has actually been in use since a few years before the Chartists took up arms, and was more recently used as the cover for The Stone Roses Love Spreads. RISE Lager is now on tap at all Tiny Rebel pubs and will be available on keg via the usual sales channels very soon. If you know a publican that needs to refresh their lager range, tell them about RISE!